What is it all about? The most premium range of coffee machines that can produce real cafe quality and last through ages. This is a part two of the espresso machine mass order. We started from pod coffee that cost $151 to $200 per kg for their coffee. 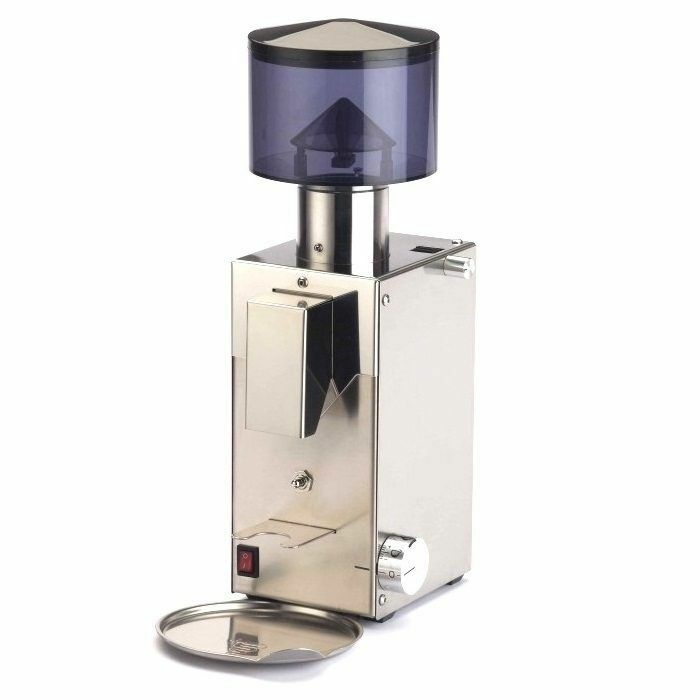 We are a group of coffee lovers and professionals who had been mass ordering coffee equipment for more than a decade. We are still here. We were already in coffee when there weren't many cafes in Singapore. When nobody in Singapore ever crossed their mind to own espresso machines at home, we were already conducting the Coffee Pod Mass Orders more than a decade ago, before it was set up in Singapore. That's why we have this new mass order. Our mass order projects were initially set up by a group of professionals coming from different backgrounds. We had accountants, lawyers, bankers, supply chain specialist, web designers, etc. After so many years, we also have cafe owners, fnb operators, baristas and coffee connoisseurs who share their knowledge and establish the roots deeper. We are not associated with any associations, roasters and cafes; you can do your research if you have doubts. Coffee brought our team together. Coffee is a healthy drink; we want more people to appreciate it. We strive to bring in excellent coffee machines at a great value to benefit the HWZ forums in Asia. We had helped thousands of users to get cheaper espresso machines and sold thousands of espresso machines to Singapore, Malaysia, Vietnam, Brunei, Philippines, Macau, Hong Kong, Cambodia, China and India. We think it's time to move on to bigger games and take on the real hardware for the best quality coffee. WHAT ESPRESSO MACHINES ARE WE TALKING ABOUT? We all know fully automatic espresso machines are normally overpriced and they give vending machine quality so those are not what we are talking. 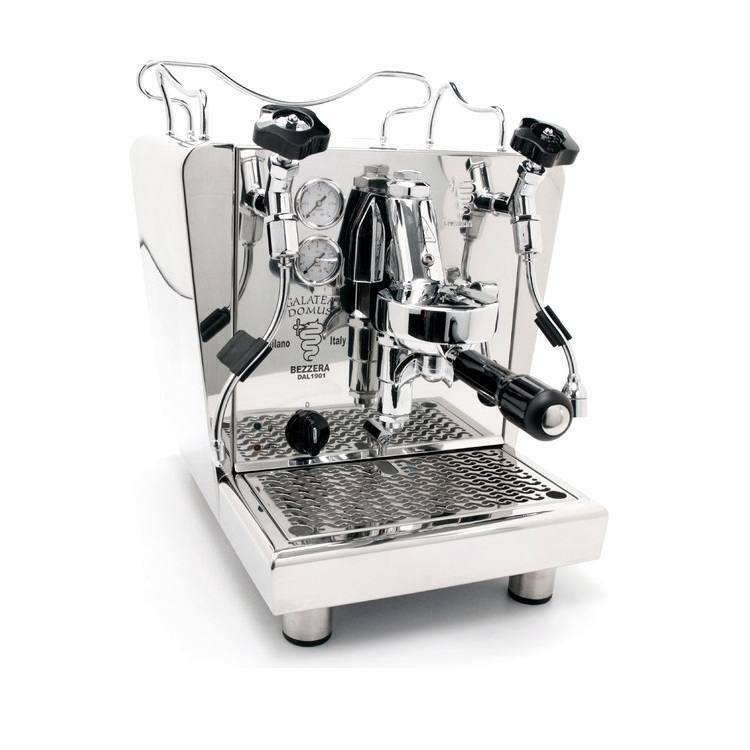 We are talking about professional espresso machines, used by baristas. The era has changed, including for commercial environment. Unless you are a Starbucks, Coffee Bean, or some super high traffic cafes. It's quite silly to purchase a power hungry 3000-6000W giant commercial machine for a small cafe, restaurant, office, home, etc. Most cafes don't even utilise two brew heads. Recently in the last 10-20 years, commercial espresso machine manufacturers had figured out that many small cafes around the world don't need such monster size machines. There are having more problems with maintenance, with power consumption, with slow start up time. So what they did was they took the big commercial machine, shave off the size by reducing the size of the boiler, reducing the heating element's power, reduce to a single head. These modifications create small espresso machine that can fit onto your counter top with the SAME professional quality. When we say quality, we mean, taste quality and durability. They can last as well as the big commercial ones. Decent ones, use only as much power as small domestic espresso machines. In short, semi professional machines are the same machines used in cafes and any commercial environment. Except that they had been modified with a smaller boiler and use up lesser power for prosumer usage. Performance power? Equivalent or better. You may not be aware, but coffee is not an ordinary bean. It contains the most molecules of aroma many times of any regular food. To get the flavours out, coffee has to be extracted at the optimal temperature and pressure. A little bit off makes a big difference and that's why domestic machines, normally produce espressos that are flat. Get the parameters right, and you will rediscover that coffee has so much character hidden within. Cheap espresso machines have a lot of plastic that affects your temperature, the taste and quality of your coffee beans. Such cafe standard semi-professional espresso machines can do it properly with fewer errors and improve the taste significantly. They are built with commercial quality spares and can carry on using for a lifetime by replacing a few gaskets and parts regularly, which don't cost much. The cost to repair these machines is usually cheaper than repairing fully automatic espresso machines. The build of the machine is five. As espresso machines are machines that exert a lot of pressure and produce a lot of heat. Heat and pressure can deteriorate components over time. Domestic machines which you purchase from departmental stores are usually made with plastic and using domestic plastic parts which deteriorate fairly quickly. They have a limited lifespan before giving way to leakages, leading to melting of components, reduced performance in the pump, insufficient heating, etc. Domestic machines typically reach their end of production within 5 years and they are usually no longer serviceable after. They are very solid in their build, very heavy with all solid metal, and only uses the highest end components. They can last longer, and components are always available. The usage of boilers to build steam will mean that plenty of steam power is available for doing foaming and frothing. The result is a creamy and thick foam, which is very fluid and tasty. This can't be adequately produced in almost all domestic machines. Foam quality in those machines is almost always bad. Almost all the semi-professional machines(except Bezzera BZ09 and Bezzera Unica) sold here are heat exchangers or double boilers. 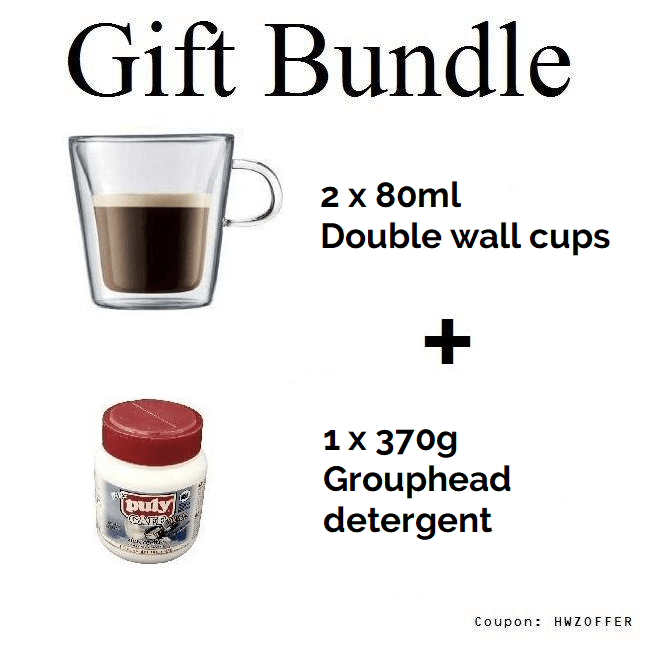 Which can froth milk and brew at the same time. This can easily reduce the time to brew a milk recipe by 80%. Semi-professional machines are the only type of machines which allow you to clean thoroughly using grouphead detergent or flush with pressurised hot water. Again this can't be done on domestic machines. At best, their cleaning solution is to run with just hot water and excessively do descaling which damages the machine, which still doesn't clean the nozzles much. Why is it important? Because coffee is oily and it sticks within the machine. It will create layers and layers of oil and go rancid, affecting the taste of your coffee. There's no way you can thoroughly clean the brewing chamber in an automatic machine except rinsing which barely does anything. Over time, the layers of coffee oil will get thicker; it will solidify and block the brew chambers, valves and sensors. Which affect the quality of extraction, overheat the pump and pressure valves. As the layers of coffee oil are acidic, it will eventually corrode plastic/silicon components until it finally gives way to a major breakdown. As for the milk part, cleaning the steam wand is surely easier to clean than the milk tubes in automatic machines, electronic frothers, etc. Just purge to release steam will do, can't be easier. Our team went to different suppliers in Singapore and did LOTS of research. After much checks and negotiation, we decided to work with Fine Coffee Company to partner and offer us a better deal. They are wholesalers for premium espresso machines throughout Asia and has the widest range of models, priced BEYOND reasonable. They are priced almost as good as buying from Europe direct. You can find models with the same specifications selling at double price from other suppliers. And they are the authorised distributor for the Bezzera espresso machines. Bezzera is more than 119 years old. Put into comparison with similar brands, VBM is 40 years old, Rocket is 10 years old. Bezzera is not only with the conventional groupheads, they have already moved on with their R&D and has at least two other remastered systems. Bezzera is the same mechanic family who invented the first espresso machines in the world, operating since 1901. If you are looking for a safe and assuring choice. What other companies know more about espresso machines than the inventor than a company who had been crafting premium espresso machines for more than a century? They also have the widest range to give a fair comparison. Most equipment companies only have one genre of what they sell; that's not enough to compare right? Trust us, not many local coffee companies know about service quality or know about their products well. We are very pleased and honoured that Fine Coffee Company had agreed that we could sell and introduce them here at Hardwarezone. We are sure the brands they bring, Quamar, Bezzera and Expobar will over exceed the expectations of the most demanding connoisseurs. Or you can make purchase directly at Fine Coffee Company | Bringing the best since 2007 (Malaysia/Singapore) and apply coupon " HWZOFFER " for the free gifts. We are unable to arrange repairs, please contact FCC directly. However, please be aware that they do not repair nor service overseas sets at any level. For an overseas set, please send it back to the overseas vendor for servicing. calbay, IntelFlash, compuser and 2 others like this. Last edited by unwanted; 11-03-2018 at 11:15 AM..
What are semi professional machines? They are professional espresso machines downsized for use in a smaller environment. Highest end or the highest end. Used by professionals, connoisseurs, or top end executives with the rich and famous. As well as any average Joes who appreciate coffee. You can use it for home, for office, for small commercial area like restaurants, etc. Are they hard to clean? A user may only take about 10-60 secs to clean up. Model like the Bezzera Strega, probably 5 seconds. It depends on the user. On daily cleaning, the user can do a short cut, as the method used by fully automatic or capsule machines by running through with quick flush of water. Such method can't wash off most of the organic oil left by coffee. It will certainly build up layers of oil and residues causing parts to deteriorate over time. This can significantly increase the longevity of the device and maintains the extraction standard. A user may only take about 30-60 secs to finish making a cappuccino/latte after the machine is already heated up. The only challenging part is calibrating the grinder, which depends on how fussy is the user. Last edited by unwanted; 14-05-2016 at 03:21 AM..
Who else knows and makes better espresso machines than the inventor? BEZZERA was found in 1901. It's named after the founder of the first espresso machine made in the world. Bezzera is the oldest Espresso machine manufacturer still existing today and it's runned by the same family of machinist. Continuous innovation and modern transformations have not changed the philosophy and tradition of the company, which proudly maintains its complete production line in its own facilities. They are probably the most sophisticated factory in the world that can produce espresso machines from metal sheets & ingots. The company is characterized by a modern production facility in Italy and 70 employees, still run by the Bezzera family. Components and finished products are designed and manufactured on site, through the use of state of the art continuous cycle robots and modern numerical control machinery. In 1964/65 Rafael Olaso Peirò began importing exclusive, innovative and necessary products from Italy for developing the hotel- and restaurant market in Spain. 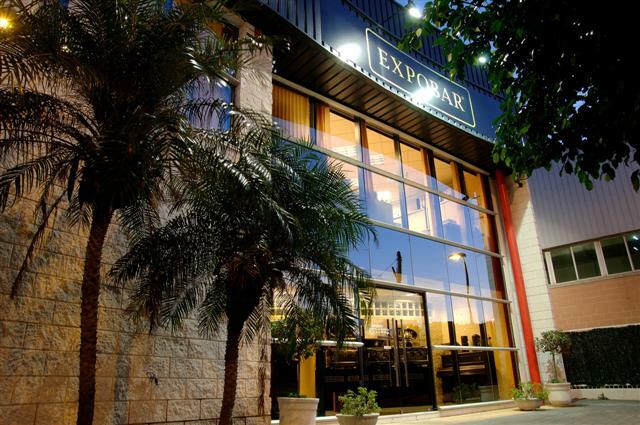 In the 80s, he started constructing an espresso machine which bore the same name as his company and presented his espresso machine “Expobar” to the Spanish market. Subsequently he began exporting to Europe. Quamar S.n.c. was established in Altivole, north-eastern Italy, by Mirco Martignago and Luca Quagliotto in 2000. The company gained recognition immediately and was the appointed supplying partner for the leading brand in the market. In 2005, Quamar decided to run independently and started producing products of their brand. They expanded in 2010 and begun to build all components in-house or, in some particular cases, to outsource them from local companies, which guaranteed direct supervision over each processing step. Last edited by unwanted; 11-05-2016 at 03:21 PM..
Last edited by unwanted; 01-05-2018 at 10:02 AM..
A revamp of the E61s with up to 60% lesser start up time, smaller footprint and great value. Last edited by unwanted; 01-05-2018 at 10:01 AM..
Last edited by unwanted; 11-05-2016 at 05:11 PM..
Last edited by unwanted; 11-05-2016 at 05:16 PM..
Last edited by unwanted; 05-06-2016 at 03:26 PM..
Coffee bean Singapore - Looking for coffee? All Le Piantagioni and Arcaffee coffee are roasted by coffee specialists in Italy. All coffee bags are hermetically sealed with the most advanced modified atmospheric systems. The bags which are completely made in Italy, are designed to retain the coffee freshness for at least 6 months with minimal deterioration. Balanced with wide aromatic range. Walnut notes and round body. Last edited by unwanted; 11-03-2018 at 11:30 AM..
Aroma of dried fruits. Rich body, sweet taste and long after taste. Flowery with honey notes. Remarkable acidity and pleasant aftertaste. Last edited by unwanted; 10-03-2018 at 12:04 AM..
Candied citrus and jasmine notes. Gentle acidity. Refreshing afterstate. Nutty and sweet. Delicate aftertaste. Strong and full bodied. With a light vanilla aroma and persistent chocolate aftertaste. Well balanced, full bodied with light acidity. Slight notes of spices with a persistent aftertaste. Last edited by unwanted; 10-03-2018 at 12:06 AM..
Last edited by unwanted; 11-05-2016 at 03:23 PM..
All main machines orders come with an additional gift bundle if ordered from HWZ or using our coupon. We can also arrange to Indonesia, Malaysia, Macau, Hong Kong, Vietnam, Thailand, Philippines, Vietnam and Brunei. Please indicate the coupon "HWZOFFER" for machines orders in your checkout for the free gift bundle. Before making any purchase on this forum. Please read through the terms and conditions carefully. We will not be responsible for any misunderstood or assumed responsibilities by any buyers or users. We only take orders via Email or PM at hardwarezone. For clearer documentation on your orders so the stock pickers won't make a mistake or wrong address recorded. Submit the appropriate form below depending on your nation to deliver. We will confirm order and send you instructions for payment. Buyers can use credit card payment made directly at Finecoffeecompany.com but it's subjected to transaction fee. Please try to put your name if you are using ibanking. Interbank transactions may take a few days to settle, please let us know in advance if you are interbanking. We will arrange for a courier to pick up and let you know your delivery details. We reply PMs/Emails as fast as replying online chat/sms. Both channels are connected to live stations with people handling them at least 18 hours daily. Please email me quantity needed, model, location and purpose of the bulk purchase. We store our items with the warehouse and the couriers will send within a few working days(W/O COD) if it's in stock. We use professional courier services who will send the parcels by hands and vans. Redelivery can be arranged if receiver misses delivery during the agreed timing. For Singapore orders, the mass order is meant for commercial purpose, not for domestic usage. All clients who submit order whether from the mass order or from website www.finecoffeecompany.com, fully understand and agree to the clause and indemnify www.finecoffeecompany.com or this hardwarezone's mass order from any legal responsibilities. The products don't issue warranty cards, and it's all registered in the system. To claim or RMA, please contact me to troubleshoot in advance to decide if it's a genuine fault or a technical user error. This will save most users a wasted trip to travel or arrange for repair for nothing. 95% of the problems alerted, are actually user errors which can be solved at home or due to misunderstood understanding for the machines. For orders made from outside Singapore. Machine has to be sent back to Singapore as this is where the regional service centre is located. We will NOT be responsible for any risks or losses, complications, tampering or damages resulted from the freight. Customers are expected to be aware of their nation's customs regulations and prevailing tax rates. We will not be responsible for any delays of postage from the couriers, freight warders, flight,etc. Please take note we can only label the items as Fragile extensively but we will not guarantee the condition of the items during transit. We will not offer any form of compensation due to damages of the items during delivery. Nor be responsible for any possible additional customs duties or whatsoever charges that's resulted from the purchase for any merchandise in the MO. Buyers are responsible on their own to track and trace from the given tracking number. All products are not honoured by any level of International Warranty. (a) We are aware of counterfeits, replicas, modified, cannibalised, refurbished and imitations, that are produced/sold in China. Finecoffeecompany.com will strongly advise users to avoid them as they had not been regulated or tested at any levels to meet safety requirements nor constructed with original or professional grade spares to meet the high performance standards. Finecoffeecompany.com will totally reject the service of such machines. (d) Machines that are not to local specifications in power supply or plug, are not serviceable. Please be assured that we respect the privacy of every individual. We do not sell nor disclose any personal information to anyone at all times. We will not diverge who purchased and the agreed value of products. If it's for declaration purposes for the above reasons, buyers are free to input their value on the shipping invoices or delivery notes for their convenience. However we will not be responsible for any direct or indirect complications that may arise. Last edited by unwanted; 28-08-2018 at 12:50 AM..